Record Your "Mom Life" On A Layout! Good morning memory keepers! I am sure there are a lot of moms among us and the “I am Mom” collection can relate to you just as much as it does to me. Anya here today and I would love to share a layout I created using this beautiful collection. 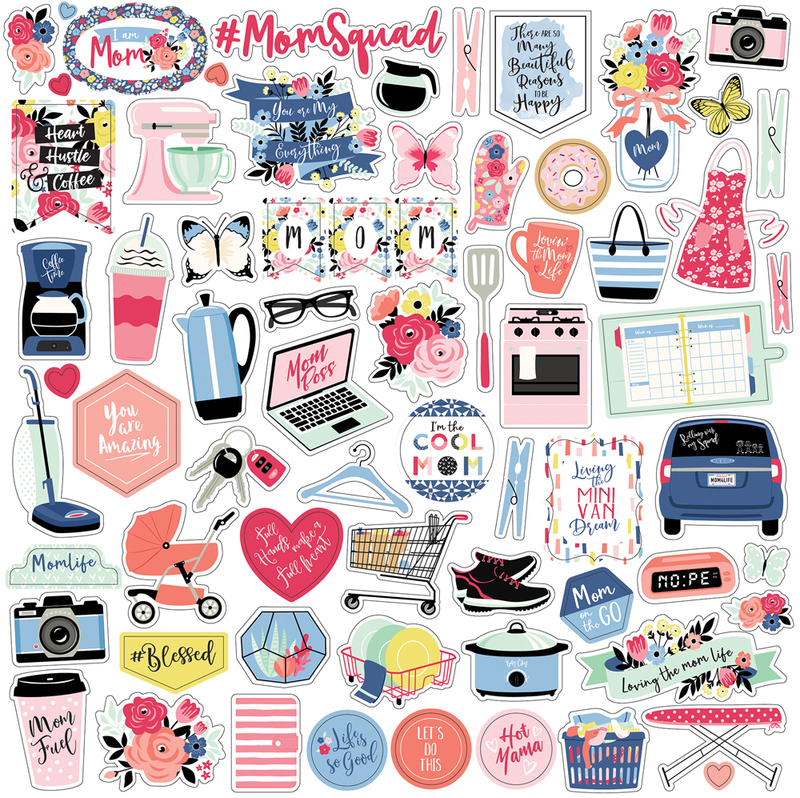 I was so inspired by all the fun images in this line, I wanted to use as many of those as possible on a layout, since each and every one of them reminded me of my life as a mom. I printed a few random photos in black and white, used a circle punch to cut them and arranged all of the pieces on a page in a large circle. I also used a few fussy cut flowers from the “Give Mom Flowers” paper and enamel dots. There’s also a stamp set that coordinates with this line and I used it, along with a stamp set from the “Coffee” collection, to add small phrases as bits of journaling. I hope I’ve inspired you to create a layout in a style, where stickers, ephemera and chipboard images tell the most of your story.